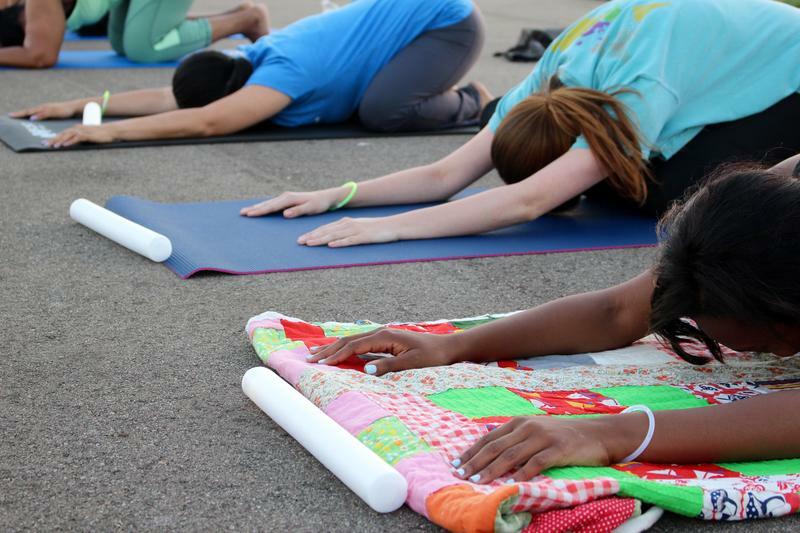 Participants demonstrating the yoga pose, Child's Pose. Fear, depression and other psychological dilemmas can all affect a patient’s ability to stop overeating and start a healthier lifestyle. With overeating contributing to more than 10% of the world’s population suffering from obesity, doctors and healthcare providers are looking for new ways to help their patients defeat overeating. Coming up, we're talking about overeating, how yoga can help back pain, and more fitness tips.